ST KILDA defender Tom Lee is one of four players delisted by the club on Friday as the Saints continue to prepare their playing list for season 2017. Eli Templeton, Brodie Murdoch and Cameron Shenton have also been told they won't be offered contracts for next year. Lee was originally drafted by Adelaide in 2008 at pick No.60 but was delisted after one season. After spending three years playing for WAFL club Claremont, he was then picked up by St Kilda in 2012, via a trade with Greater Western Sydney, which had the rights to Lee as a former AFL-listed player. Recruited as a forward, Lee moved into defence late in season 2015 where he showed some promise. The 25-year-old played four senior games in 2016, bringing his total to 17 in his four seasons at St Kilda. The Saints bolstered their defensive stocks during the NAB AFL Trade Period, securing free agent Nathan Brown from Collingwood. Jake Carlisle will also be available to play after missing his first season at St Kilda following the Court of Arbitration of Sport ruling earlier this year. Templeton, who was recruited with pick No.3 in the 2014 NAB AFL Rookie Draft, struggled to break into the senior side in 2016, playing just the one senior game. He played 14 matches in his time at the Saints. 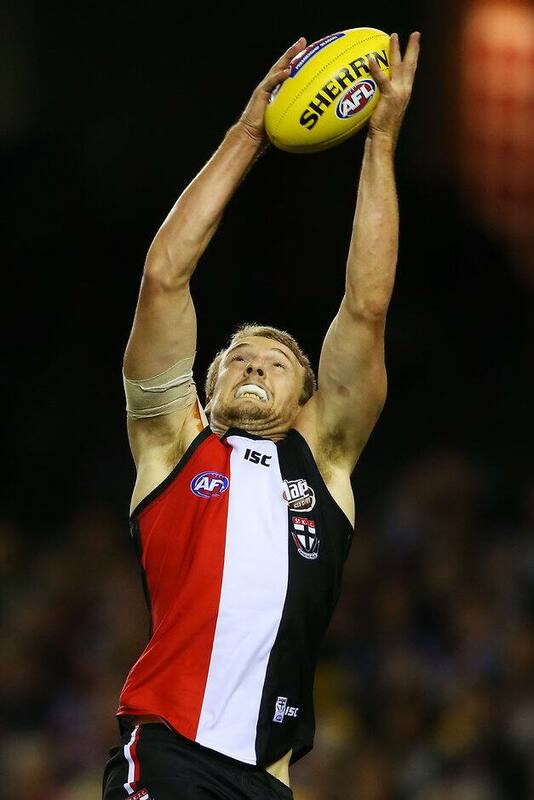 Shenton played 24 games in his five years at the club, while South Australian-born Murdoch made 22 appearances for the Saints since he was recruited at pick No.40 in the 2012 NAB AFL Draft. Chief operation officer Ameet Bains thanked the four players for their contribution to the Saints. “We really appreciate the contribution that Cameron, Brodie, Tom and Eli have made to St Kilda Football Club as both people and players," Bains said. "Each of the boys should be proud of their ongoing effort and level of professionalism during their time with the club. The Saints have now delisted a total of eight players with Luke Delaney, Tom Curren, Josh Saunders and Brenton Payne already given their marching orders. Defender Sam Fisher's future is still in limbo with the 34-year-old yet to sign a new deal with the club.